In my lifetime – due to increasing climate change, expanding cities and populations, fracking, deforestation, and general resource waste – fresh water shortages are guaranteed. Quite simply, water is the new oil. And the lack of it around the world, will be one of the biggest crises of the 21st century. In the most recent UN FAO report, it was shown that 70% of the world’s water is used for agricultural purposes. Unfortunately as populations continue to increase our thirst for water will only climb, while our supply of water continues to become polluted and infrequent. Though water shortages come with their own devastation, their impact on food security can not be overstated. It’s for these reasons that I wanted to focus my research plant genetics under water limitation stress. 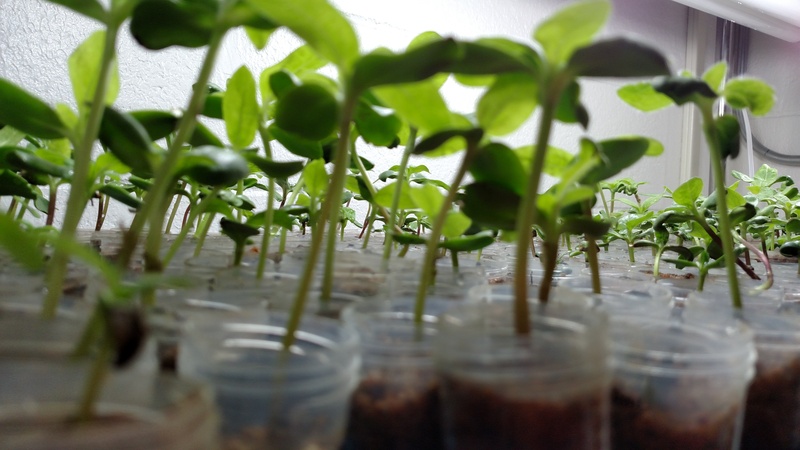 I use cultivated sunflower (Helianthus annuus) as a model organism, and my PhD thesis work couples plant physiological methods, genetic mapping, and -omic’ techniques to identify candidate genes responsible for improved drought resistance, at the seedling stage. Many researchers study drought to understand how plants respond to water limited conditions. However, the way we impose ‘drought’ or water limitation varies considerably. One of my main questions investigates how similar and varied plant responses are too different water limitation scenarios such as traditional dry downs or osmotic stressors. Going one step further, are the genes we identify predominantly scenario specific, or are we truly capturing a shared response to water limitation. This work is in the final stages of analysis and write up. Feel free to email me or contact me on Twitter for more information! Taking a deeper dive on a single water limitation scenario, another major question of my thesis is to identify genetic variants associating with the response to this water limitation scenario. 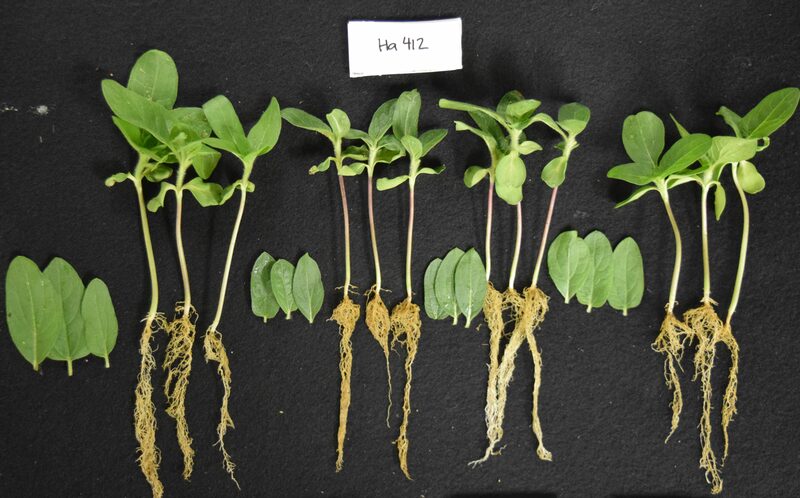 Using a sunflower diversity panel of 288 genotypes (Mandel 2011, 2013) this question follows basic GWAS protocols to elucidate the underlying genetic regions associating with traits under a specific osmotic stress (PEG-6000). In addition to developing a deeper understanding of genetic mapping and water limitation physiology, this project has helped me further develop my bioinformatic skill set. In association with a few other members of the Burke and Rieseberg labs, I have developed a GWAS pipeline catered to this population called the “Whole Enchilada” suite, which takes users from phenotypic data to a list of genes underlying associated regions.